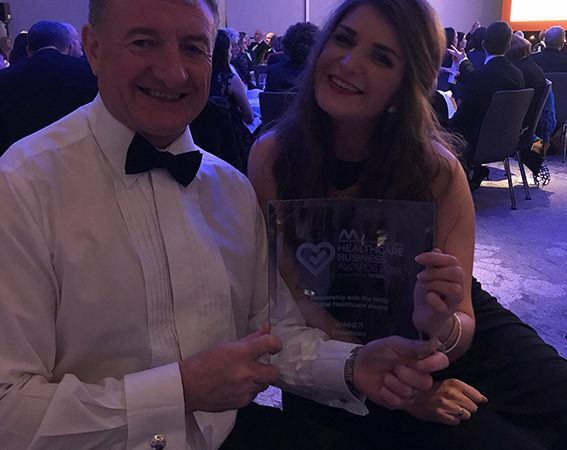 Last night at the prestigious Medilink Northern Powerhouse Healthcare Business Awards, Inhealthcare picked up the award for its work with Health Call, a collaboration which includes Inhealthcare and six Trusts in the North East of England. The event was held in partnership with Insider and headline sponsors Health Innovation Manchester, Innovation Agency and The Yorkshire and Humber Academic Health Science Network. It was also sponsored by Emirates, HGF and Translate, and raised money for Candlelighters. The collaboration includes County Durham and Darlington NHS Foundation Trust, Northumbria Healthcare NHS Foundation Trust, Newcastle Hospitals NHS Foundation Trust, North Tees and Hartlepool Hospitals NHS Foundation Trust, South Tees Hospitals NHS Foundation Trust, Gateshead Health NHS Foundation Trust and Inhealthcare.